The Proform ZT8 is one of the lowest priced models available from this brand. For around $799, you’ll be getting a machine with iFit Live compatibility, a 2.75 CHP motor, 0-12% incline, a large 20×60″ belt, and a Lifetime warranty on the frame and motor. This machine is permanently OUT OF STOCK. Instead, we recommend you check out the ProForm Performance 600i for the same price. iFit Compatible – ‘Just press start’ and you are on your way to exciting runs in places like Rome and Barcelona! The iFit technology allows you to run Google Map routes around the world. You can even create your own route and the machine will adjust its incline to match the actual terrain. Customized workouts are included from certified professional trainers. You can track your progress towards your fitness goals using your online account. This account does require a paid subscription, but it’s well worth it if you are serious about getting in shape! 2.75 Continuous Duty Motor — This motor will work well for the average runner. It can handle speed, interval, and endurance type training. 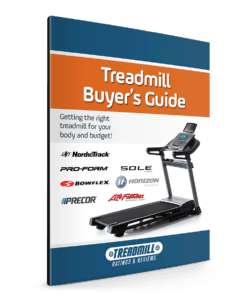 If you are planning to run marathon distances, you might consider another machine from NordicTrack’s extensive line. 20″ x 60″ Treadbelt — Tall runners rejoice! This is the longest running deck you will find in this price range. People who are over 6′ tall should definitely get a treadmill with a 60″ length. Plus, the treadbelt is 2-ply thick which will hold up better over time. 22 Preloaded Workouts – The Proform ZT8 has enough programs to keep you interested in your workout. 0-12 mph and 0-12% Incline – This is an acceptable range of speed and incline settings especially for a machine at this price point! CoolAire Workout Fan- The fan on this machine has 2 speed settings and quick console controls so you can stay cool during your workout. 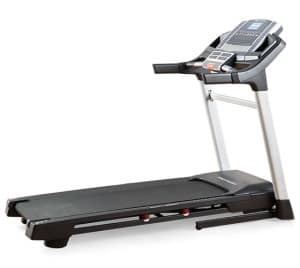 Warranty — With the ProForm ZT8 treadmill has a lifetime warranty on motor and frame, plus a 2 year warranty on parts, and 1 year warranty on labor. 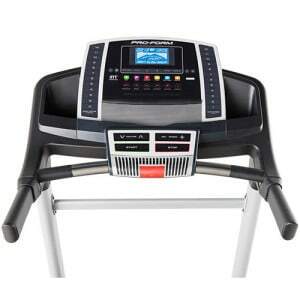 This machine is a fantastic value at only $799. Proform is usually able to more specs for the money since they are part of the giant fitness company Icon Fitness. The best features on the ZT8 are certainly the 2.75 CHP motor, long 60″ running surface, and iFit compatibility. Combined, these features will deliver an effective workout to the average runner. If you are able to spend around $200 more, you could get the Best Buy ProForm Power 995i. This machine is iFit Coach Ready and has a larger 3.0 CHP motor. Plus, it has a larger incline range and a stronger 3 yr parts and 1 yr labor warranty. 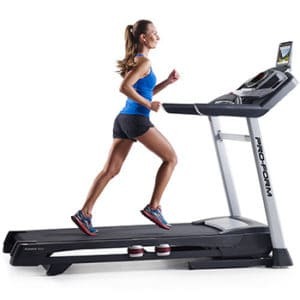 Learn more about the Proform ZT6 at www.proform.com/treadmills.